Congratulations Grace =D You have just won a $125 Gift Card to Firkin Pubs! Please email me at foodjunkiechronicles@gmail.com with your first and last name and your address so I can mail you the gift card. Congrats again and I hope you will enjoy your time at Firkin! I also want to say a big THANKS to the 95 contestants who participated in the contest. Here's a snapshot of the Excel spreadsheet where I tracked the #FirkinContest stream from day one of the contest. The tracking was done in chronological order, as in, #1 was the first person to enter the contest. To enter, the person has to tweet "I want to win a $125 Gift Card to @FirkinPubs! http://bit.ly/Uh0H5D #FirkinContest #FirkinRevolution". 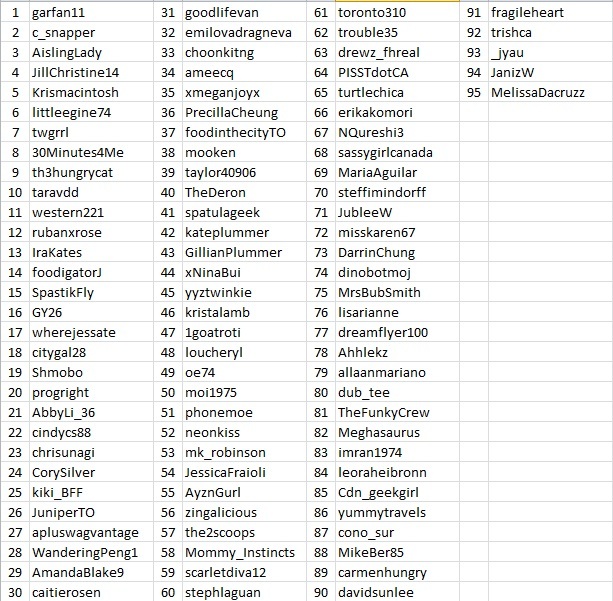 Once the contest was over and everybody's entry was accounted for on my spreadsheet, I went to check if they follow me on Twitter. 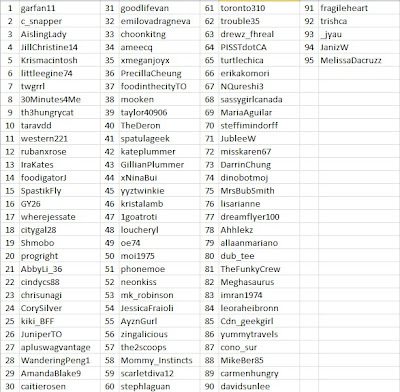 Out of the 95 people who entered my contest, 11 people do not follow me on twitter; they were removed from the above spreadsheet. There were also quite a few people who entered my contest more than once... I only counted their first entry. 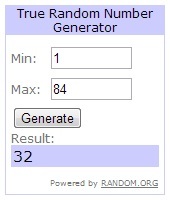 I used "True Random Number Generator" from random.org to pick the winner for me.